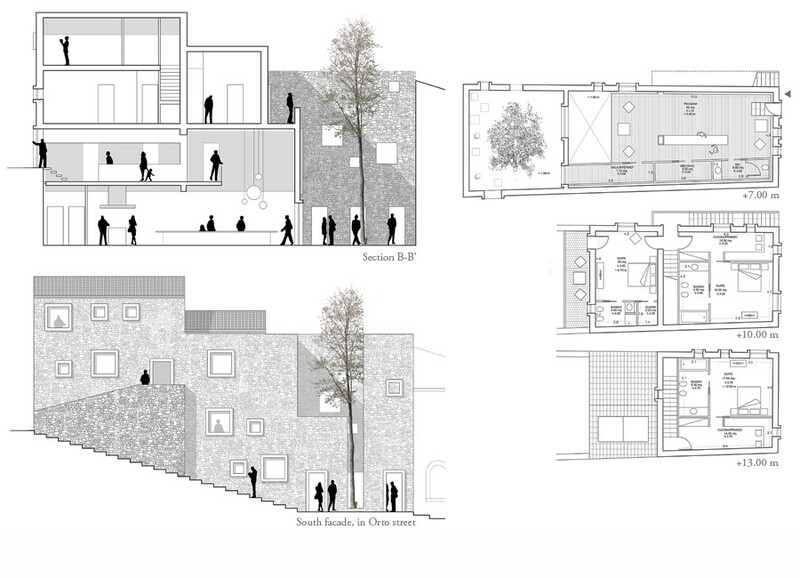 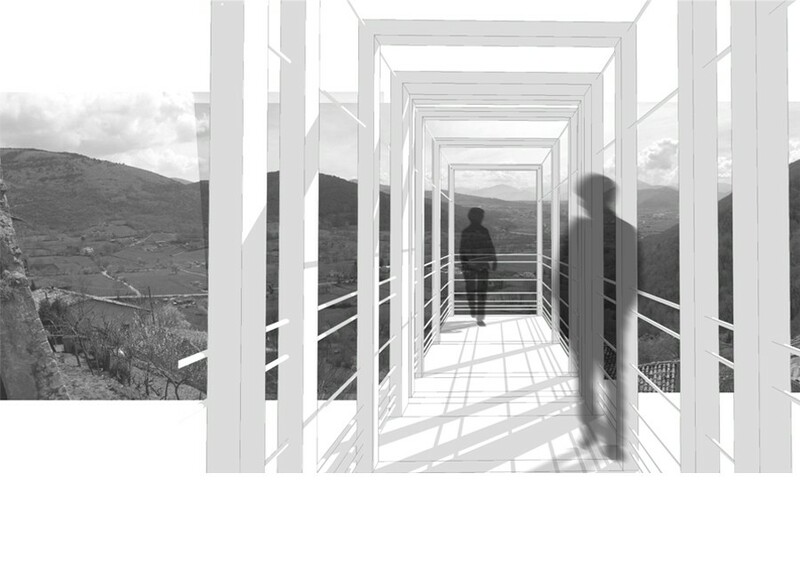 Design for a diffused hotel in Rosciolo de Marsi. 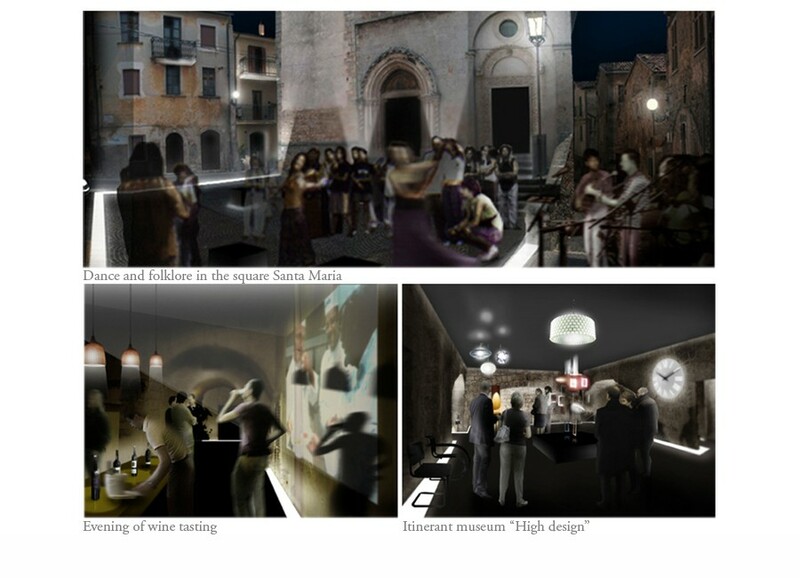 Data: 1.200 sqm new construction for hotel rooms, reception, restaurant, conference room and wine bar. 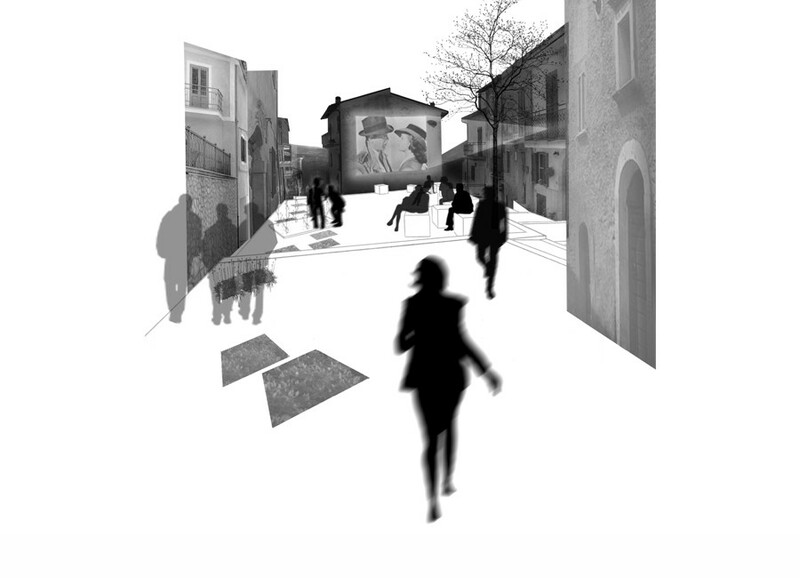 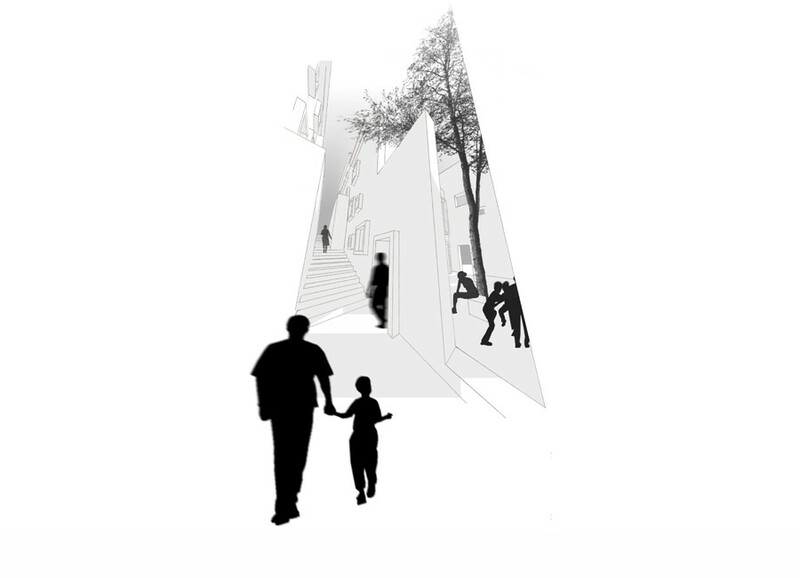 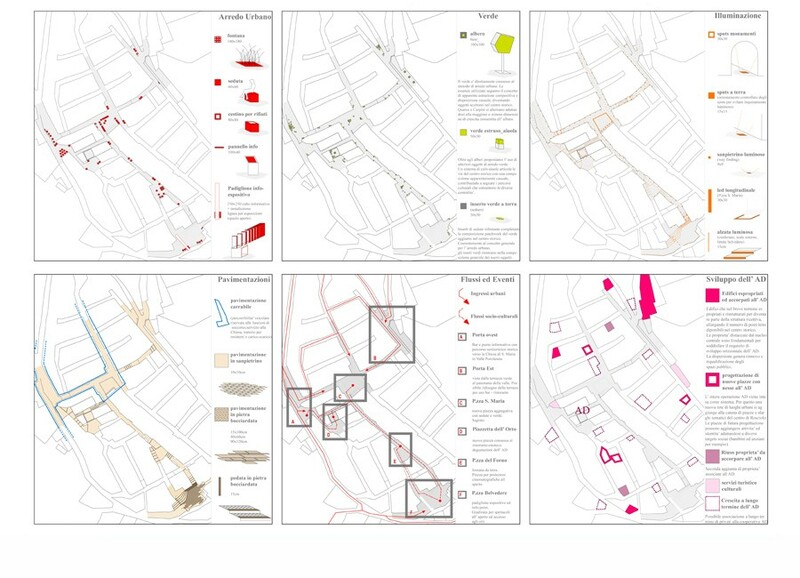 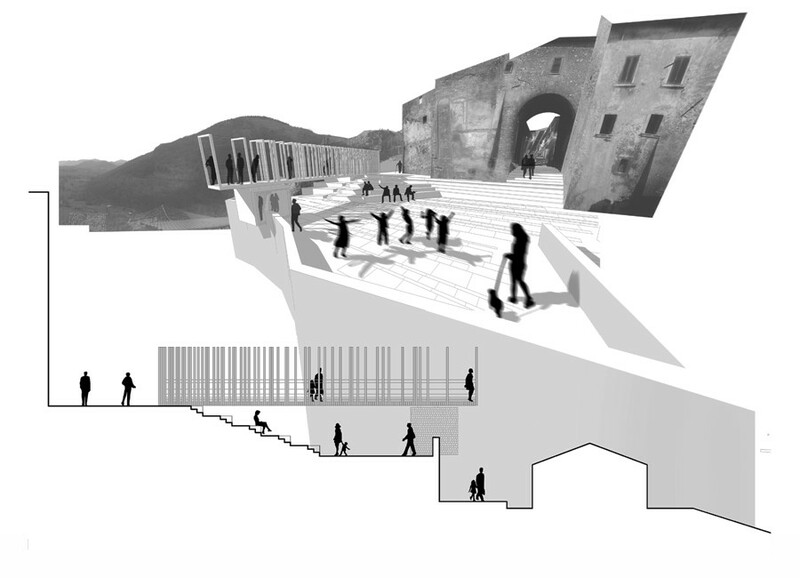 Urban renovation of public spaces, design of info pavilion, lighting and urban furniture. 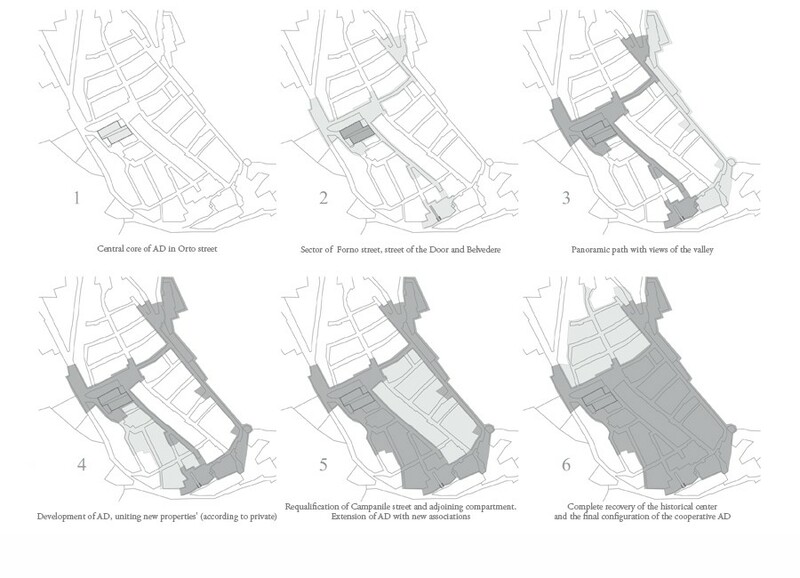 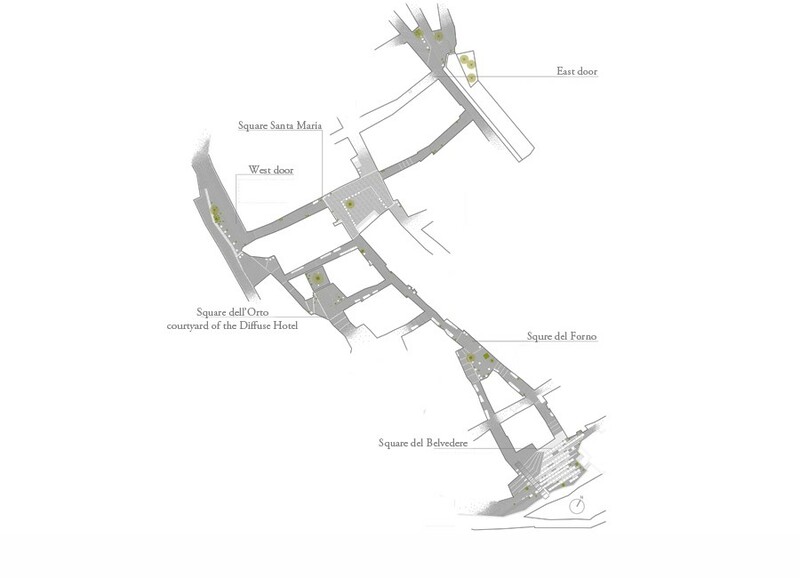 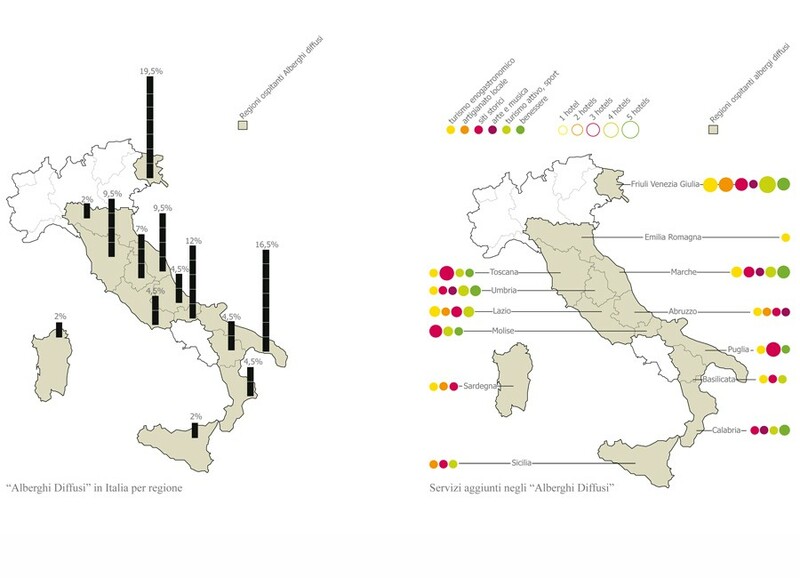 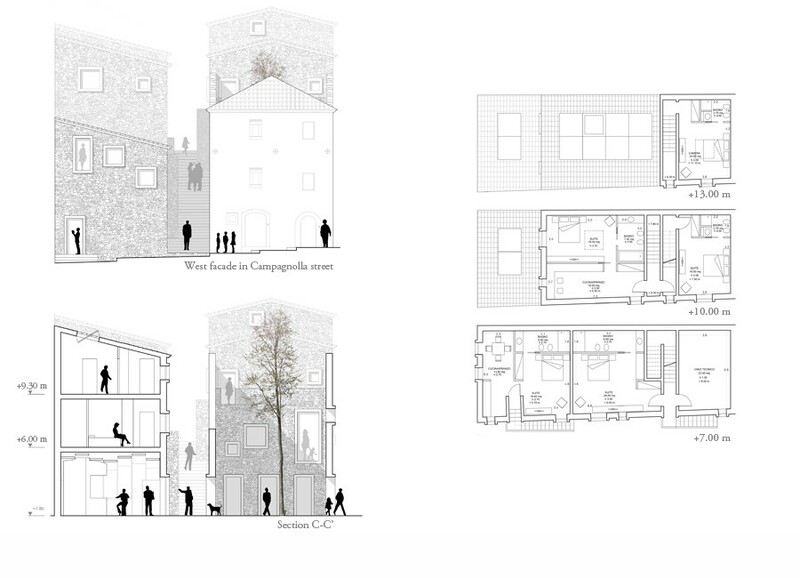 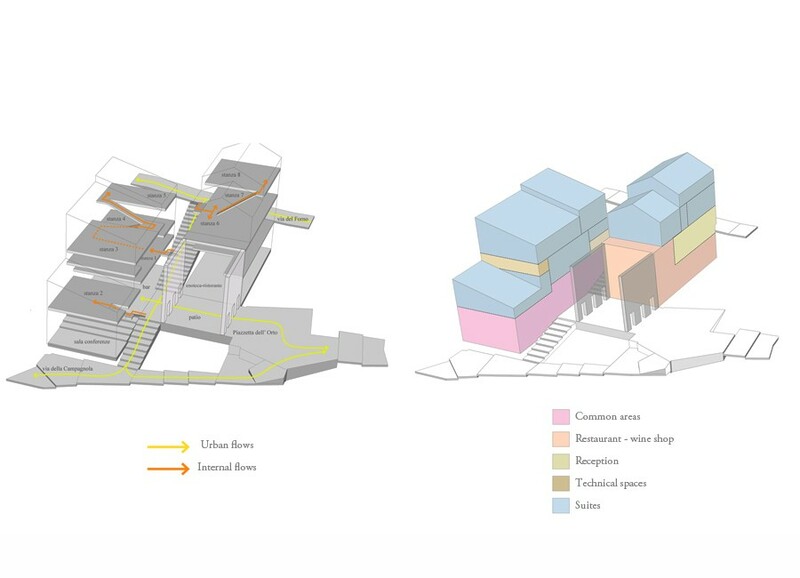 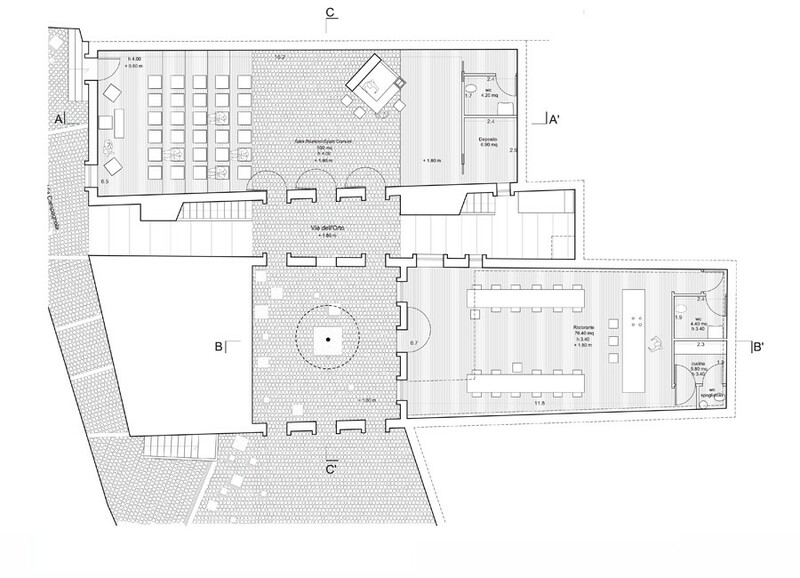 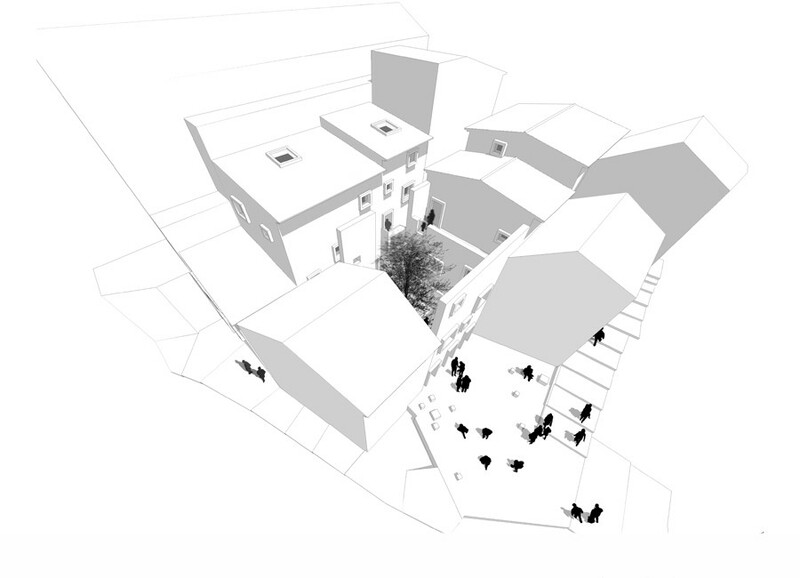 Long term strategy for the development of the diffused hotel and the total renovation of the historical centre.